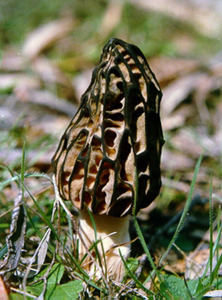 On the ground in open forests, often fruiting after fire. 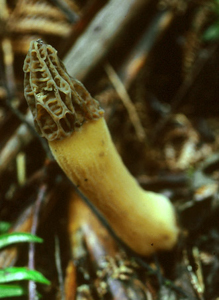 This species has a conical, deeply pitted head on a thick, cream stem. Smooth honey-coloured pits are outlined longitudinally by very dark, more or less parallel ridges, and horizontally by pale, shallow cross-ridges. 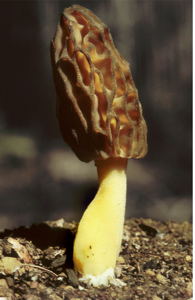 The junction with the brittle stem is well defined.